So, it’s time for you to announce your pregnancy to all of your friends and family. Congratulations! It can be exciting as well as nerve wracking when coming up with how you want to announce your pregnancy. These special pregnancy announcement ideas are bound to give you inspiration and will share your excitement with those you send them to. Before you send out a pregnancy announcement, it’s important you understand the logistics. Not knowing when to send pregnancy announcements or who to send pregnancy announcements to is completely normal. This etiquette is sure to answer any lingering questions. Finding the right time to send out pregnancy announcements isn’t super simple. You should send them out when you most feel comfortable. If you send them out earlier, there will most likely be lots of advice and support coming your way from the beginning. However, if you decide to wait, it may be easier to make decisions on your own. Typically, women will announce their pregnancy after their first trimester, or 12 weeks. Sending pregnancy announcements to immediate family is a given. Other than that, it is up to you who you should send your pregnancy announcements to. You can choose to send to extended family as well as friends. Who you send the announcements to is up to you and your partner so make sure to do what you are comfortable with. Announcing your pregnancy with the one you love is a special event. 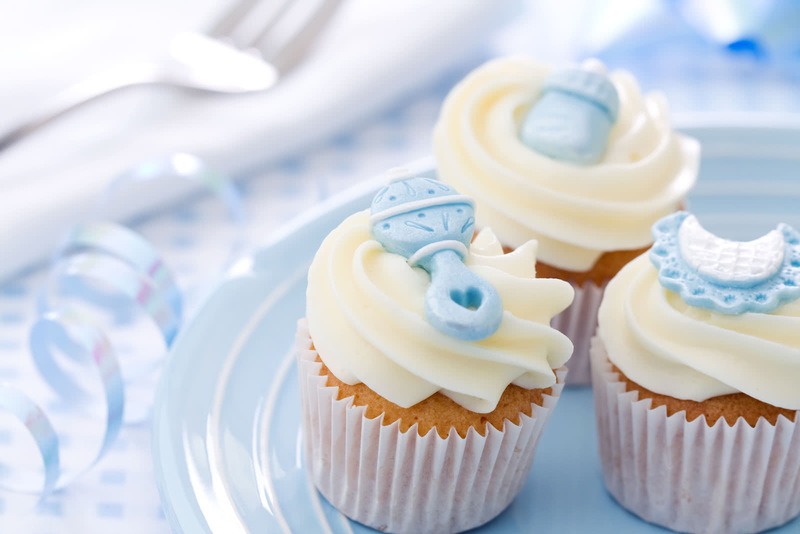 Find the right pregnancy announcement that fits the personalities of you and your special someone. Baby Shoes: A classic, and beautiful idea, involves holding baby shoes up for the photo. Sonogram: Creatively incorporate the baby’s sonogram into your announcement. Whether it be the parents holding it while hugging, or the mother proudly showing it off, it is a special moment to capture. Guide to Parenting: This is perfect if you are trying yet another subtle, but more humorous, announcement. Take a picture as a couple holding up a parenting magazine or book. Capture a moment laughing, smiling, or even looking a little distressed to send out as an announcement. Pets: Pets are part of the family, so they should be part of the announcements too. You can have an “older sister” or “older brother” shirt for your pet. You can also take a picture if your pet with their paw on the mother’s belly. Baby Clothes: Take a picture of one of your favorite clothing items. You can be holding it up, or have it laying flat with other baby accessories. If you want to share the expected date, write it on a chalkboard next to the clothes. Written in the Sand: If you love to travel, or you live near the beach, think of incorporating a message in the sand. You can write a math solution that says “2+1=3” and have the couple standing over the numbers. You can also write a “We’re Pregnant” message in the sand. Gender balloons: If you know the gender of the baby and want to announce it, include balloons for that gender. For example, if you want to do the sonogram photo, include blue balloons if you know that it is a boy coming. Congratulations on having another child! Having siblings in pregnancy announcements is both fun and creative. Whether it is only one child, or you already have three, find the perfect way to use them in your announcement. Signs: A sign is a simple, yet fun way of announcing a pregnancy. Have your current child hold a sign that says “older sister” or “older brother”. For a more rustic feel, you could have the sign be chalkboard. 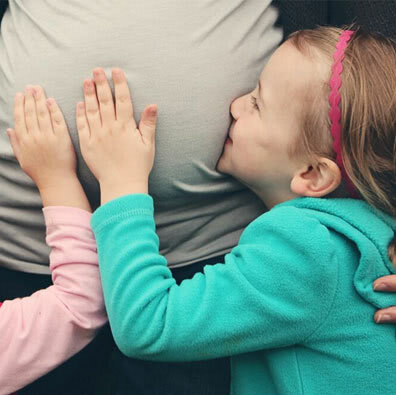 Learning about Siblings: Having another child comes with a lot of change, especially for the child you currently have. Take a snapshot of them reading a book about siblings or parenting. This is a great subtle way to announce your pregnancy. Listening Closely: Have your child listen closely to your belly with a stethoscope. You could also use two cans with a string connecting them for this idea. Countdown: A countdown is in store for any exciting event. Superhero: If your child is a fan of superheroes, remind them that “every superhero needs a sidekick”. This calls for a cute picture in a superhero outfit and a complimentary card for the announcement. Becoming a grandparent is a big milestone, so give it the attention it deserves. Set aside separate time to tell the grandparents the big news. You can add in one of these creative announcements to make that moment even more memorable. Cards: A simple card will definitely do the trick. Include a sweet message, such as, “We are excited to announce you are going to be grandparents.” You can also say something along the lines of, “You are great parents, so you are going to make even better grandparents.” Whatever you choose to say will be appreciated by them greatly, so just speak from the heart. Creative Food: This is perfect if you decide to have a dinner or gathering with the soon-to-be grandparents. You can have the announcement written on the dessert and present it to them. Mugs Full of Love: Give the grandparents mugs that have “grandma” and “grandpa” written on them. You can fill the mugs with small baby blankets, or bottles filled with candy. Onesie: Give the grandparents an “I heart my grandma and grandpa” baby onesie. They will be surprised and excited to see their future grandchild wearing it. Starter Kit Gifts: Fill two baskets or boxes with “grandma and grandpa starter kits”. These consist of little blankets, a bottle, binkies, and bibs. This will give them everything they need to properly prepare for grandparenthood. With the rise of social media, it seems like a given that one’s pregnancy will be announced on social media. Some people may feel like they don’t want to share something that’s private like a pregnancy to the world. Others may not even think twice about it. If you want to share your pregnancy on social media, remember to stay true to yourself. Only give out the information that you feel most comfortable with. Along with this, don’t feel like you have to announce your pregnancy on every form of social media that you have. If you only want to announce on one, that is completely fine. For those that want to use multiple kinds of social media, you can use the same photo on each announcement. Likewise, if you send out cards for the announcement as well, you can use the same photo. You can also take a photo of the announcement you sent out, and post that on the social media. If you decide to write a status on Facebook or other social media, you don’t have to include a photo. You can simply write a short note. Announcing a pregnancy is an exciting thing. No matter how you decide to announce it, make sure that it fits your personality. When taking pictures for the announcement, try to have fun and be creative. If you are sending announcements on cards, pick a card design that compliments the picture that you have taken. If you decide to post on social media, make sure you ask your significant other for their opinion too. Remember, should you only share what you are comfortable with.